The market has become more active as we have entered into Autumn. We and other colleagues have become busier which is a good sign. Would like to share a quotation from President Abraham Lincoln. > walk-out basement with plenty of light and view. 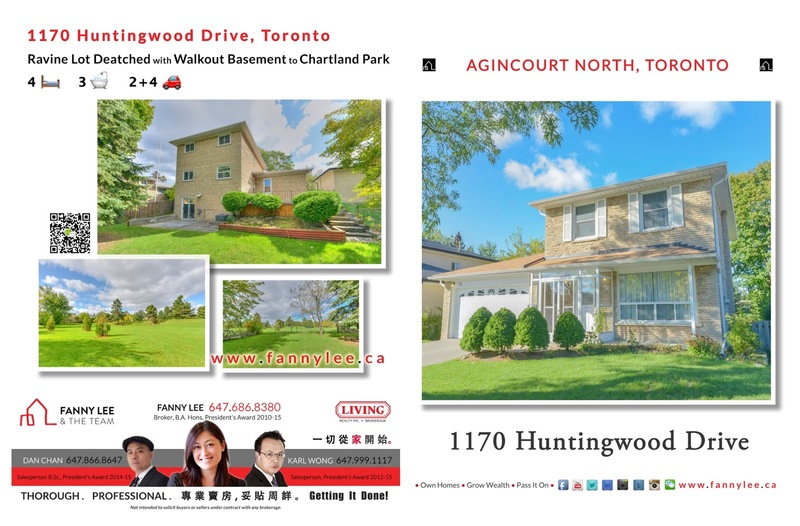 If these are also your wishes, check out 1170 Hungtingwood Ave. And it has a super convenient location and only asks for $968,000. What a Great Value! 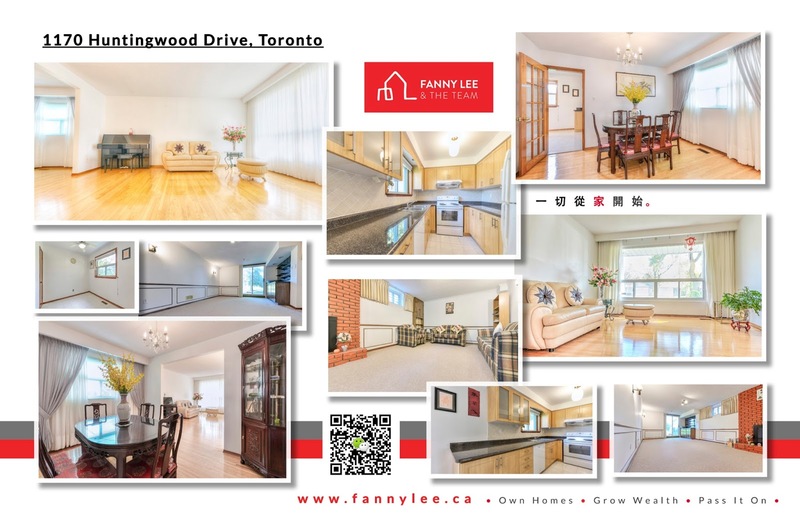 "Rarely Available Gorgeous Detached House 4 Bedroom And 3 Bath With Panorama Large Park View. Large Lot 50 X 120. Bright And Spacious Lay Out With Large Windows. Main Floor Hardwood. Side Entrance From Basement. Finished Walk Out Basement. Backyard With Wood Deck And Landscape. Coverage Storm Door. Close All Amenities. Public Transit At Door Step. Walk To Park And Schools. Must See. **** EXTRAS **** All Electric Light Fixtures, Fridge,Stove,Washer,Dryer ,B/I Dishwasher ,All Window Coverings,Garage Open Opener, Coverage Glass Storm Door Hot Water Tank(Rental)"
A breath-taking listing at much sought after Jefferson Community. Words cannot do enough justice. Watch the video for a glimpse of this incredible home. "Exquisite Executive Home. Huge Pie Sharped Prime Lot. 5 Beds 5 Bath. (3 Ensuite & 2 Semi-Ensuite) Grand Open And Above Entrance, Over 5000Sqft Living Space Loaded W Upgrades And Features. Grand Stone Entrance, Beautiful Backyard Oasis W. Flower Gardens & Stone Patio, Inground Pool. Main Fl Library W/French Dr, Custom Kit W/Upgrd Cabinet,Home Featured 3Nd Fl Loft W/Recreation Rm. Prof. Finished Basement W. Nanny Rm, Entertain Centre. Must See. **** EXTRAS **** Top Of The Line S/S Fridge,Gas Stove & B/I D/W,C/Vac,Cac, Washer/Dryer,Gb&E,Hwt(R),200 Amp,All Elfs,Window Blinds,Excl:Chandelier & Customed Drapery In Din Rm. New Paint, Double Garage. Park 5 Cars. Oak Staircase W Iron Picket." The featured Arista Homes built 64 Harbord Street is truly a rare find. This 1 year new 2-storey corner unit town offers ample of square footage and a double garage. It is 3 minute walk to Beckett Farm P.S. Plus, it is within school zone of Pierre Elliott Trudeau H.S. 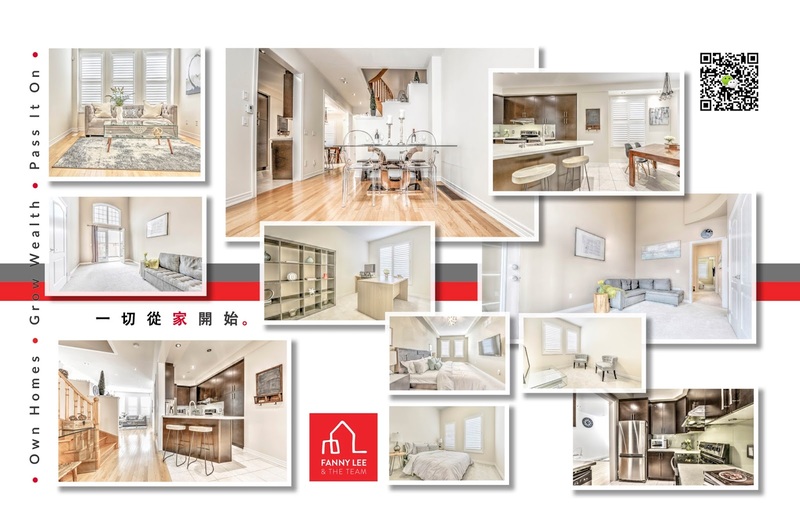 "Beautiful 1 Year Old 2400 Sqft Corner Unit Townhouse By Arista. 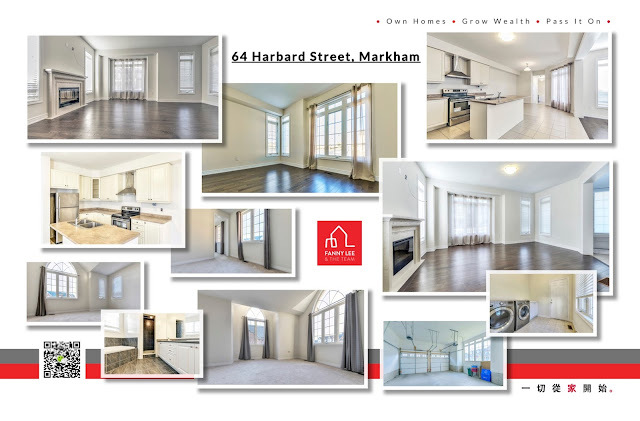 One Of The Biggest Model W/ 2 Car Garage In Berczy. Huge Corner Lot. Full Of Upgrades And Features. 9 Ft Ceiling On Both Floors. Vaulted Ceiling On 2nd Floor. Hardwood On Main. High Entry Door. 3 Bedrooms + Den, 3 Baths. Modern Kitchen With Island. S/S Appliances. Huge Master W/ 5Pcs Ensuite W/ Huge W/I Closet And Sitting Room. Direct Access To 2 Cars Garage. Close To All Amenities. **** EXTRAS **** Top School Zone. Pierre Elliot Trudeau H.S. S/S Fridge, Stove,Vent Hood, Washer & Dryer. All Elfs, All Existing Window Coverings, Cac. Direct Access To 2 Cars Garage. Main Floor Laundry." We are big fans of Cathedraltown and Victoria Square. 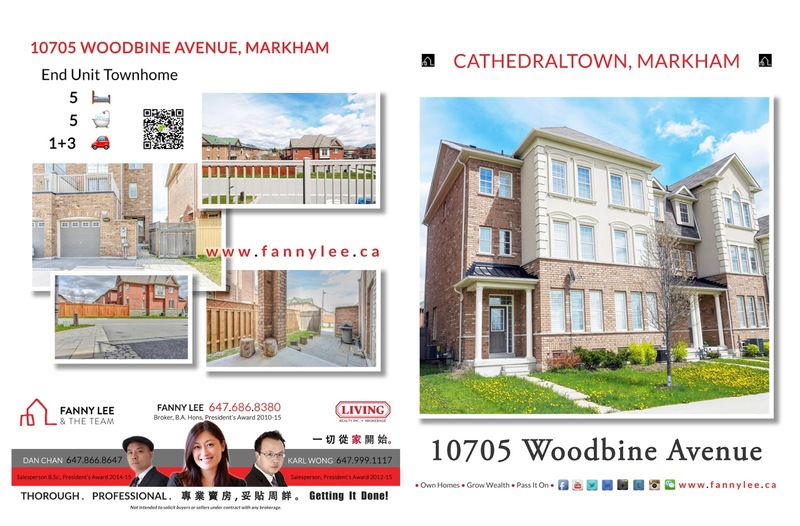 It is conveniently located in the middle of Highway 404 and Woodbine Avenue (in between City of Markham and town of Richmond Hill). It is just north of well established Cachet community. With Cathedral of Transfiguration as its landmark and Georgian style architecture, it is a unique neighbourhood attracting young families with children. If you are shopping for a home in the area, you ought to visit 10705 Woodbine Avenue. This Countrywide built end unit town offers your family space (up to 5 bedrooms) and ease to work, study, shop and play. While the nearby Abbey Lane pre-construction project townhome priced starting $1.3M, our featured 10705 Woodbine Avenue only asks a fraction of that price. And you could move in and enjoy now. 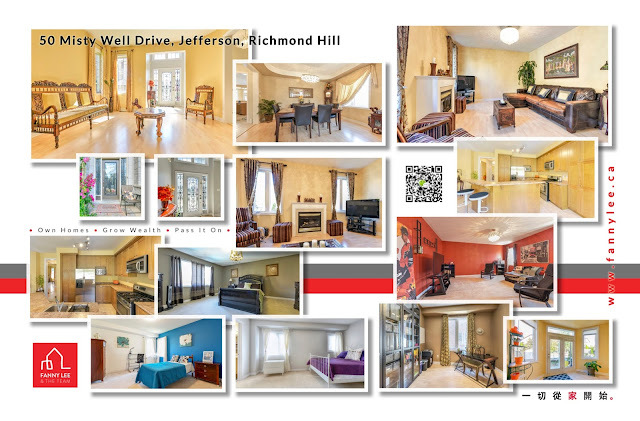 MLS N3949325 Description: "Gorgeous End unit town home Full with upgrades and features. 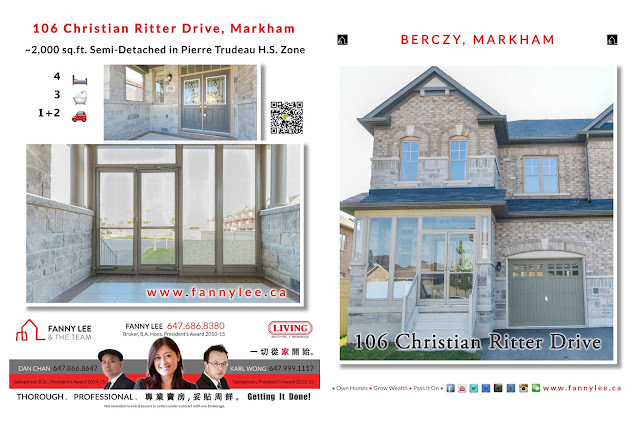 Upgraded 5 Beds + 5 Washroom via builder, 3 Ensuites include Double Master Rm OR one use as 18 feet Family room. 9 Ft Ceiling on Main Floor. Hardwood Floor. Oak Staircase. Modern Kitchen W/ Quartz Counters, S/S Appliances, glass backsplash, Eat in kitchen. Large Balcony on 2nd Floor W/ French Door. Patio stone on Backyard and Extended driveway, can Park 4 cars. California Shutters thru out. Close to all Amenities. Must see." 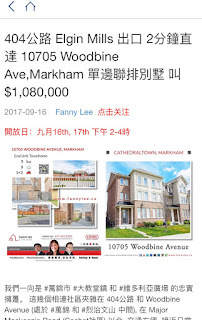 在此屋路口西北邊,剛推出 Abbey Lane 鎮屋樓花叫價$130萬起。相比之下, 此樓盤實屬超值，又可即享用，不容錯過! It is hard to forget the overwhelming demand for Upper Unionville development, right at Kennedy Road and 16th Avenue, a few years ago. 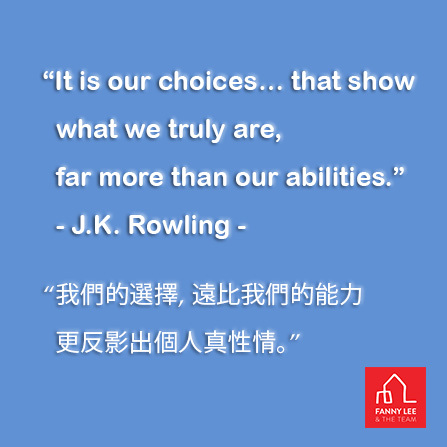 The community is blessed by adjacent established neighbourhoods and a very strong local school network. 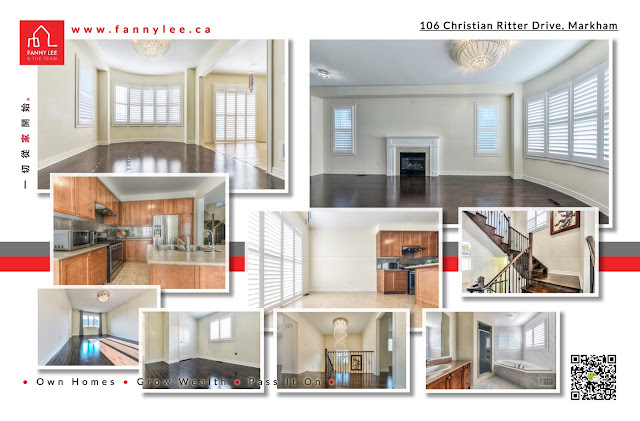 The featured 106 Christian Ritter Drive is a 2.5 years new 4 bedroom semi-detached house in this much sought-after area. "Gorgeous Sun-Filled 2.5Yrs Berczy Semi-Detached House Full Of Upgrades & Features. Beautiful Stone Face Double Door Entrance W/Glass Dr. Main Flr 9 Ft Ceiling. Upgraded Hardwood Floor Thru-Out Main & 2nd Floor. Oak Staircase W/Iron Picket. Modern Kitchen W/Extended Cabinet. S/S Appl. California Shutters. Contemporary Chandeliers. No Side Walk. Long Drive Way Can Park 4 Cars. Top School Zone. Pierre Elliott Trudeau H.S. Close To All Amenities. Move In & Enjoy. **** EXTRAS **** S/S(Fridge,Gas Stove,Dw,Rh) W&D, All Elfs, All Chandeliers. All Cali Shutters & Existing Wdw Covergs,Pot Lights,Reverse Osmosis Water Filter Sys,Cac,Gdo.3Pcs R/I.Cold Rm.Direct Access To Garage.Above Grade Wdw.Storm Drs.Excl:Water Softener."